Motorola Radius P50 radios Lot of 16 radios and more accessories! SOLD AS IS. 46 product ratings - 6 Motorola CLS1110 2-way Radios w/Gang Charger, Earpieces and Holsters. Trending at $189.99Trending price is based on prices over last 90 days. 7 Motorola CLS1110 UHF Business 2-Way Radios Walkie Talkies!! 46 product ratings - 7 Motorola CLS1110 UHF Business 2-Way Radios Walkie Talkies!! Motorola XPR3500 Handheld 2-Way Radio AAH02JDH9JA2AN. 1 product rating - Motorola XPR3500 Handheld 2-Way Radio AAH02JDH9JA2AN. Motorola CP200 Two Way Radio (2 radios) and 1 charging dock. 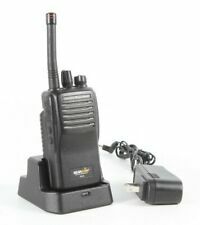 81 product ratings - Motorola CP200 Two Way Radio (2 radios) and 1 charging dock. Trending at $200.00Trending price is based on prices over last 90 days. Trending at $106.65Trending price is based on prices over last 90 days. 1 product rating - MOTOROLA XPR 3500 UHF 2 WAY RADIO AAH02RDH9JA2AN 2 WAY RADIO WORKS GREAT ! This page was last updated: 23-Apr 07:45. Number of bids and bid amounts may be slightly out of date. See each listing for international shipping options and costs.